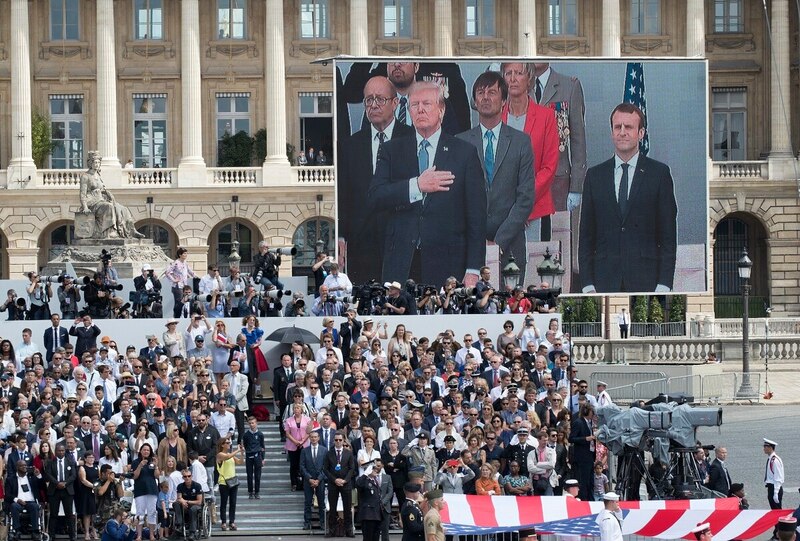 President Donald Trump’s requested military parade is expected to cost about $12 million, according to initial planning estimates, the Pentagon confirmed Wednesday. The parade was initial set for Nov. 11, Veterans Day, but now will take place Nov. 10 to accomodate international celebrations on Nov. 11 set to mark the 100th anniversary of the end of World War I. The parade costs were first reported by CNN. The initial price tag could easily change, and no final plan has been approved yet, a defense official said on the condition of anonymity. The price would depend on the final numbers of troops and type of equipment involved, and how those troops will need to be transported to Washington, such as whether they would need to be moved by train. White House budget director Mick Mulvaney previously told Congress the price tage could be between $10 million and $30 million. The parade date is just four months away, which raised questions on how Washington would be able to execute the needed security and planning, such as getting the permits and public bathrooms, that is required to accomodate a large public gathering. The White House budget director says proposals he's seen put the cost between $10 million and $30 million, depending on the length of the parade. The $12 million cost is roughly the same amount the military had planned to spend on its now-cancelled military exercises with South Korea. Trump directed the exercises to be cancelled citing their cost and saying the exercises were “very provocative” to North Korea. "We stopped playing those ‘war games’ that cost us a fortune,” Trump said last month. The exercises were cancelled after his meeting with North Korean leader Kim Jong-Un.